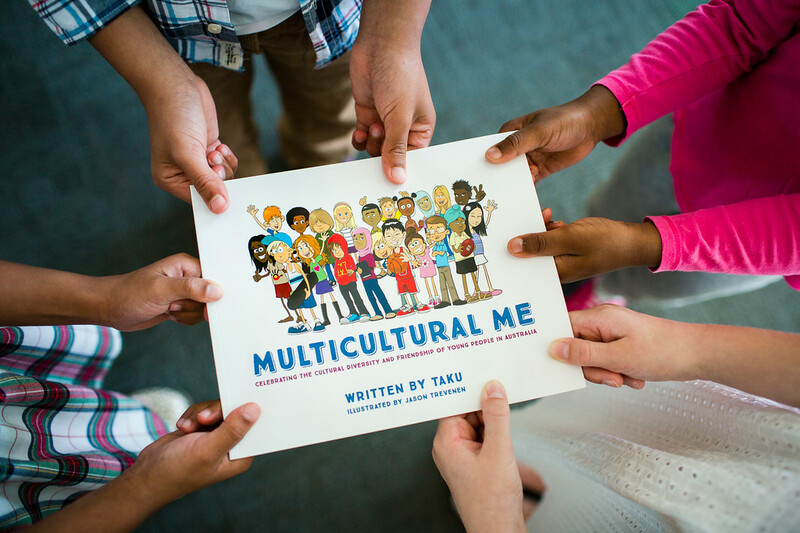 The cover of Multicultural Me is inspired by all the beautiful children I meet as I share my stories. This colouring page is a little gift of friendship that children can colour in on 30 July, the International Day of Friendship. 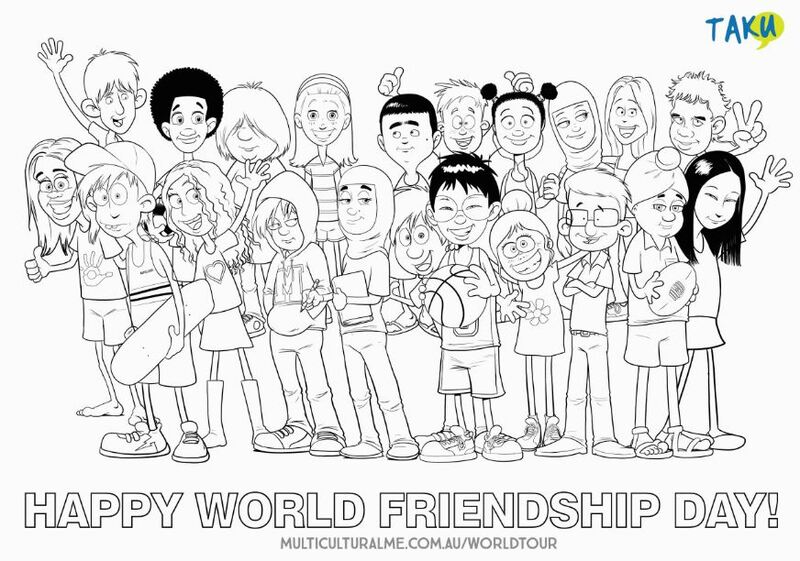 Simply download the World Tour Colouring Page (1MB PDF) and print it on A3 paper. How many children are in the picture? Why do you think I put all these children on the cover? What things do the children have in common? What things are different about the children? Do any of the characters look like your friends? How else can you support the World Tour of Friendship?